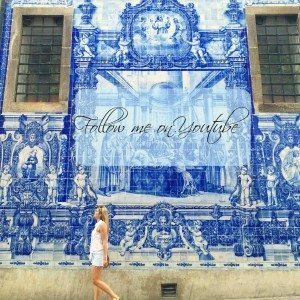 I walked outside of the grandiose Plaza Mayor, making my way down the old cobblestone and neoclassical building lined street. I ducked into an unpretentious hole in the wall tapas restaurant that was filled with older flat cap wearing Spanish gentleman drinking red wine and eating olives. As I made my way downstairs to my table in what seemed like an old cellar, I was greeted with warm faces eager to delight me with the local cuisine. The brick groin vaulted ceiling above the hand painted wall tiles made the perfect backdrop for the old wooden table for my upcoming gluttonous feast. 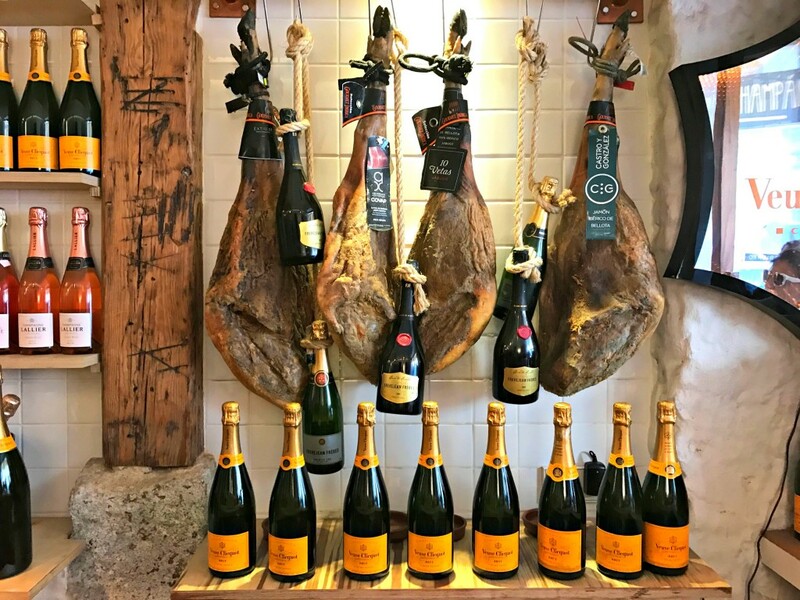 With each bite of my paper thin nutty Iberico jamon, creamy Manchego cheese, and slow roasted suckling pig I suddenly realized I had stepped into every foodie’s dream. Madrid, the capital of Spain, is ostensibly overshadowed by the culinary giants such as Barcelona and San Sebastian and unrightfully so. 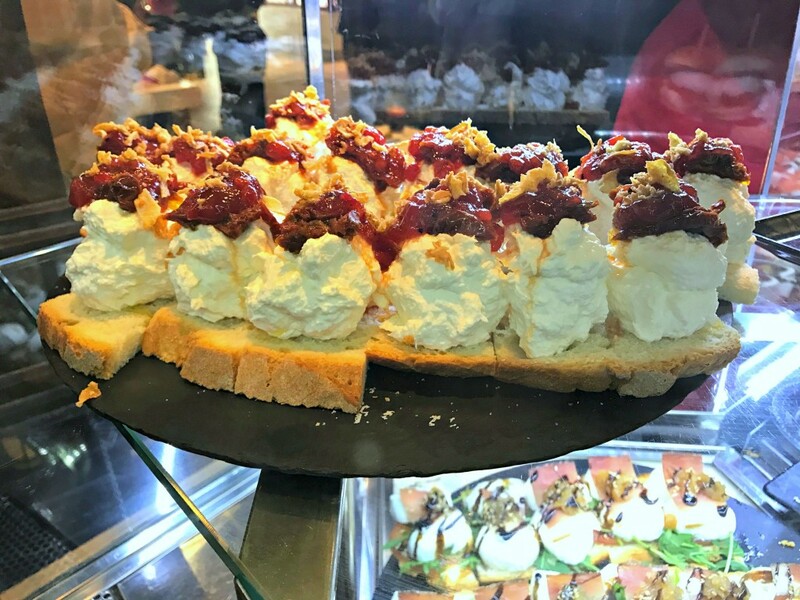 With fewer tourists visiting Madrid than other Spanish cities, it is a secret culinary dream of epic proportions waiting to be discovered. 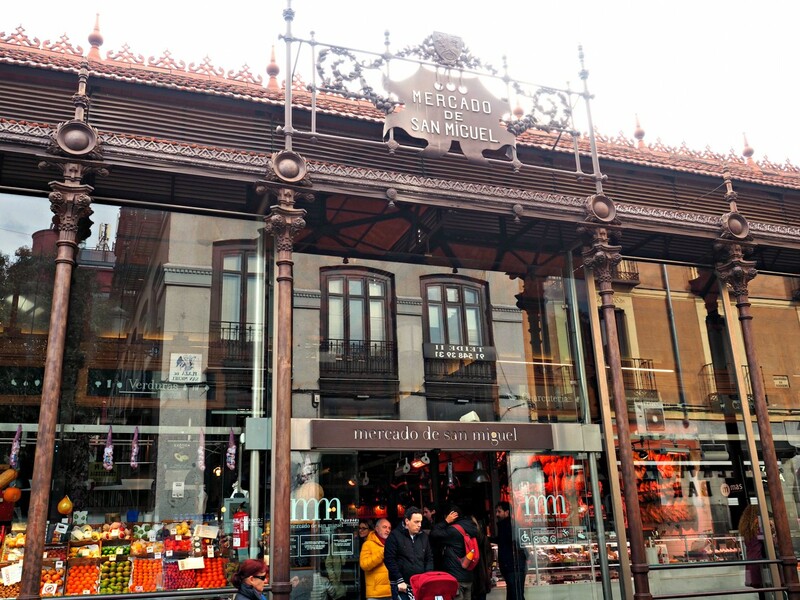 Starting at the seemingly never-ending San Miguel Market I was met with food stalls filled to the brim with beautiful fresh seafood, every type of tapas you could fathom, and the most decadent local Spanish wine to sip on. I strolled casually around the bountiful market eating my whipped burrata and tomato jam crostini and licking my fingers clean from sampling all of the freshly sliced jamon wondering if life could get any more delicious. Aside from Madrid having sensational traditional food, it also has a new wave of innovative Spanish cuisine. At the recently opened and very posh hotel Only YOU Atocha, customers as well as many locals, have been eager to experience the cuisine at Trotamundos. Their taste buds are tantalized by what the chef describes as ‘a journey from Latin America to Asia and stopping in Spain’. Alongside the food creative craft cocktails are being whipped up by the 2016 Mixologist of the Year, Ivy Mix. After one sip you’re hooked and before you know it you’re ordering another libation. 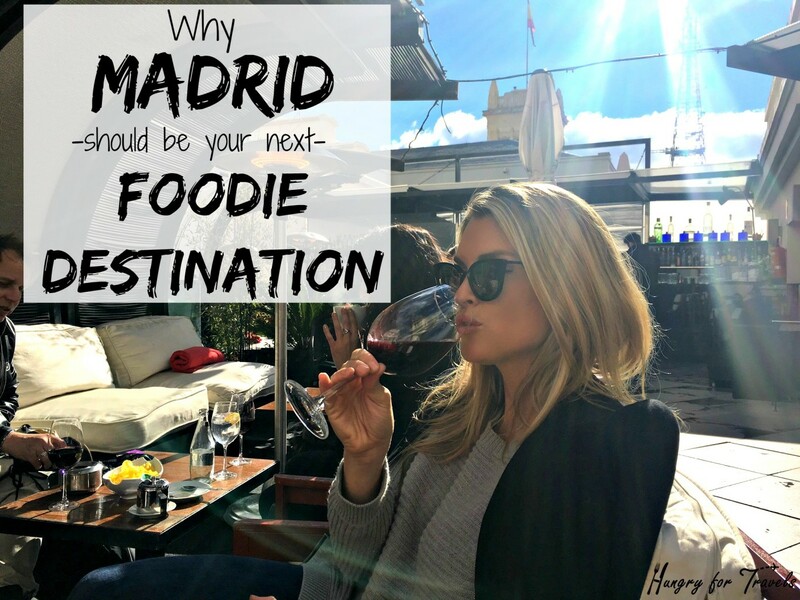 As I spent my days exploring the many picturesque alleyways of Madrid, my nose was constantly filled with the aroma of delicious food all around me. Many times I found myself at a new restaurant, still full from the last, but hungry yet again at the sight of what they had to offer. 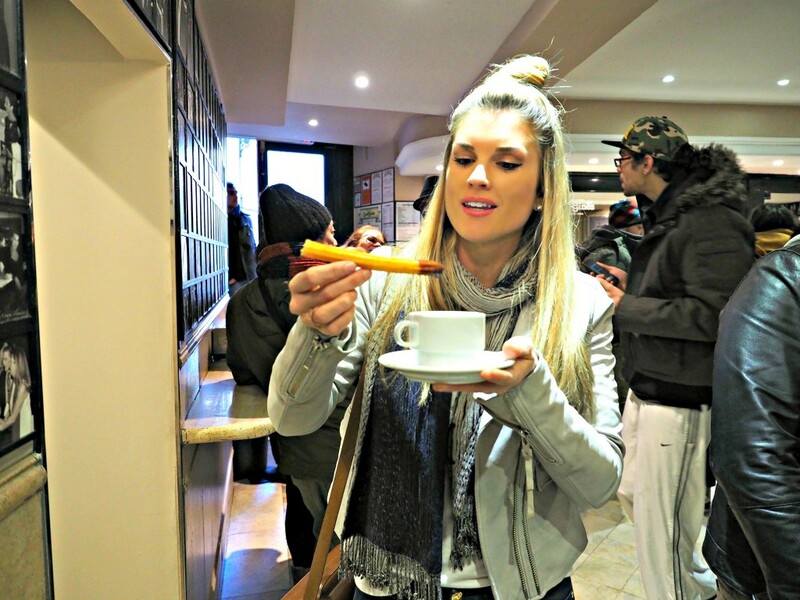 From slow roasted suckling pig to churros dipped in hot chocolate to simple yet undeniably delicious sandwiches; the food opportunities are endless. 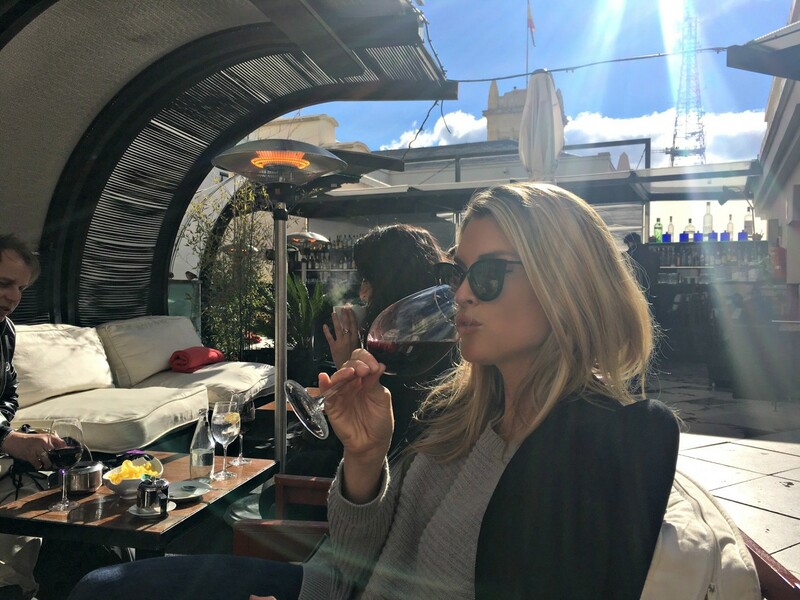 I sat at a trendy rooftop bar slowing sipping a glass of one of the most delicious full bodied Spanish red wines imaginable while taking in the busy streets of Madrid below me and the beautifully ornate buildings all around me. As I sat there, completely and utterly satisfied from my last overly indulgent meal, I found myself thinking about what I was going to eat next. That’s what Madrid does to you. It awakens an insatiable appetite beast that you didn’t know you possessed and when it is awoken you listen to it, and you’re happy to do so. I know I will be back to Madrid one day, eager to sample the local food as well as the innovative cuisine rapidly approaching the food scene. I look forward to that magical day when I return and until then I’ll be here, patiently waiting, hungry for more. My favorite airbnb’s I’ve stayed in!